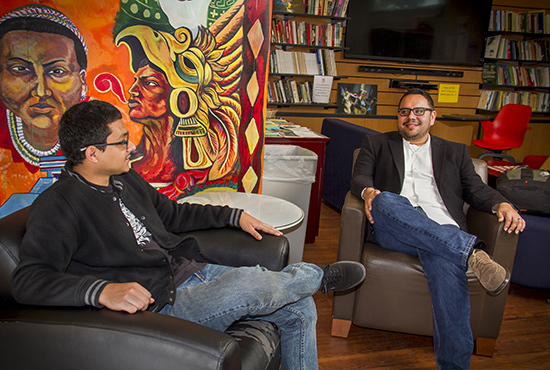 Campus Community Centers at UC San Diego build affinity among a diverse population of students, faculty and staff members. 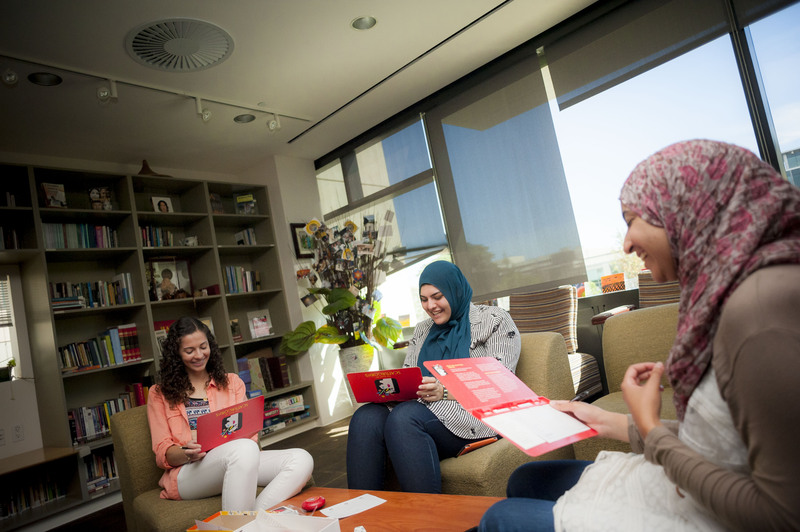 Open to undergraduate and graduate students, staff, faculty, alumni, and the San Diego community, the centers contribute significantly toward the evolution of a socially just campus. They are places of belonging, where traditional notions of diversity are challenged. Where self-awareness is learned, leaders are developed, and open dialogue and expression are encouraged. CCC, Price Center East, Second Floor | (858) 822-0525 | apimeda@ucsd.edu | Asian Pacific Islander Middle Eastern Desi American (APIMEDA) Programs and Services provides community and retention support for students. 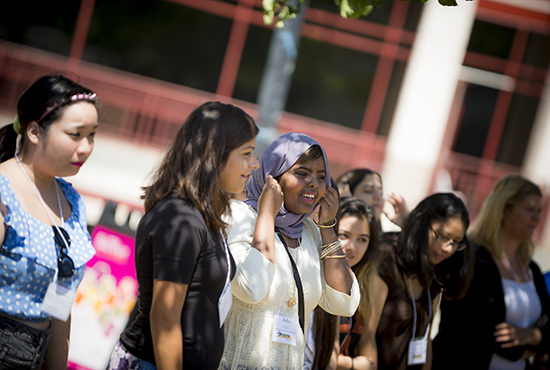 Programs help students—especially from the Asian American, Pacific Islander and Southwest Asian North African American populations—find community at UC San Diego. Support and resources encourage community development, foster greater visibility for the diversity within the APIMEDA community and help students gain skills for success in their future careers. Original Student Center, Student Center A, Top Floor | (858) 822-3493 | brc.ucsd.edu | brc@ucsd.edu | The Black Resource Center (BRC) serves the entire population of UC San Diego while emphasizing the Black experience. It promotes scholarship, fosters leadership and cultivates community for historically underrepresented students, faculty, staff and alumni. The BRC offers identity affirming support services, mentoring, professional and leadership development, co- and extra-curricular opportunities and nonacademic counseling. Additionally, BRC collaborates with various university departments to provide resources and services designed to inspire students to choose UC San Diego as well as support them during their academic career through to graduation. Price Center East, Second Floor | (858) 534-9689 | ccc.ucsd.edu | cccenter@ucsd.edu | The Cross-Cultural Center (CCC) provides a place of belonging and validation for underrepresented and underserved students, staff, and faculty. 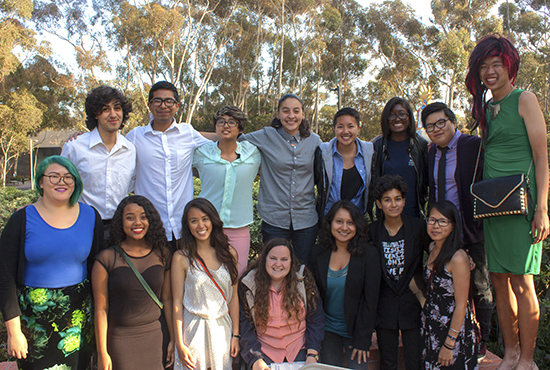 The center also builds critical engagement and learning about diversity and social justice at UC San Diego. Through social, cultural, academic and professional programs that build leadership and cultural competence, the center helps the campus to understand and increase equity, diversity and inclusion. Centrally located and always abuzz with creative and enlightening workshops, lectures, and more, the Cross- Cultural Center is a place to discover, connect and succeed. Price Center West, Second Floor | (858) 822-0048 | itrc.ucsd.edu | itrc@ucsd.edu | The Intertribal Resource Center (ITRC) is dedicated to creating a welcoming space on campus and a supportive community for Native American students, faculty and staff by offering academic support, cultural awareness programs and social activities. 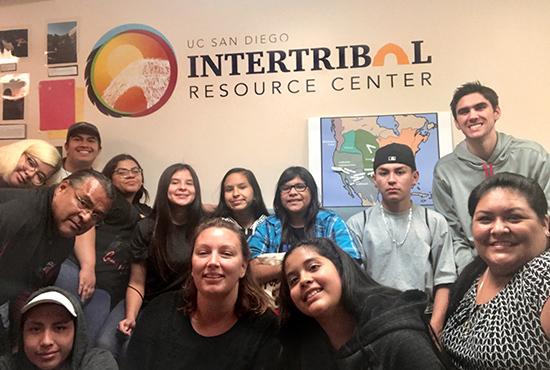 Through a variety of workshops, lectures, symposiums and other programs, the ITRC creates opportunities for the greater campus community to learn about and engage with important issues in Indian Country. Original Student Center, Building 290 East, Top Floor | (858) 822-3493 | lgbt.ucsd.edu | rainbow@ucsd.edu | The Lesbian Gay Bisexual Transgender (LGBT) Resource Center is a diverse and inclusive public space for all members of the campus community to explore issues relating to sexual and gender identities, practices and politics. Interactive educational programs promote wellness, wholeness, and solidarity among students, staff, faculty and alumni by developing knowledge and visibility of diverse queer people. The center also offers social justice training, workplace equity education and academic research support. (858) 822-3493 | raza.ucsd.edu | raza@ucsd.edu | The Raza Resource Centro is a space for all to converse and connect around intersectional Chicanx Latinx identities, Latinidad and cultura. Comunidad is cultivated through murals, a vibrant community space and interactive learning opportunities. Programs offer academic, leadership, identity, civic, volunteer and professional development to strengthen community, identity development, retention and student success. The Centro also hosts community-building projects focused on advocacy, co-curricular, and civic partnerships designed to enhance holistic student development. Original Student Center, Room 290 West | (858) 822-0074 | women.ucsd.edu | women@ucsd.edu | The Women’s Center serves as a resource for the entire campus community while focusing on the experiences of diverse women. The center provides education and support regarding gender issues. 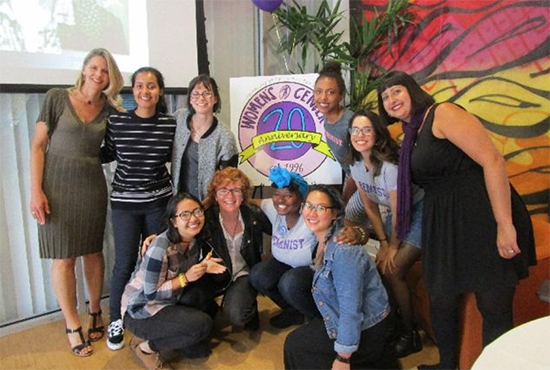 Programs provide opportunities for experiential learning, promote self-awareness, foster leadership development and encourage critical engagement with gender, feminism and social justice. This dynamic family-friendly community space serves as a home away from home for many on campus.